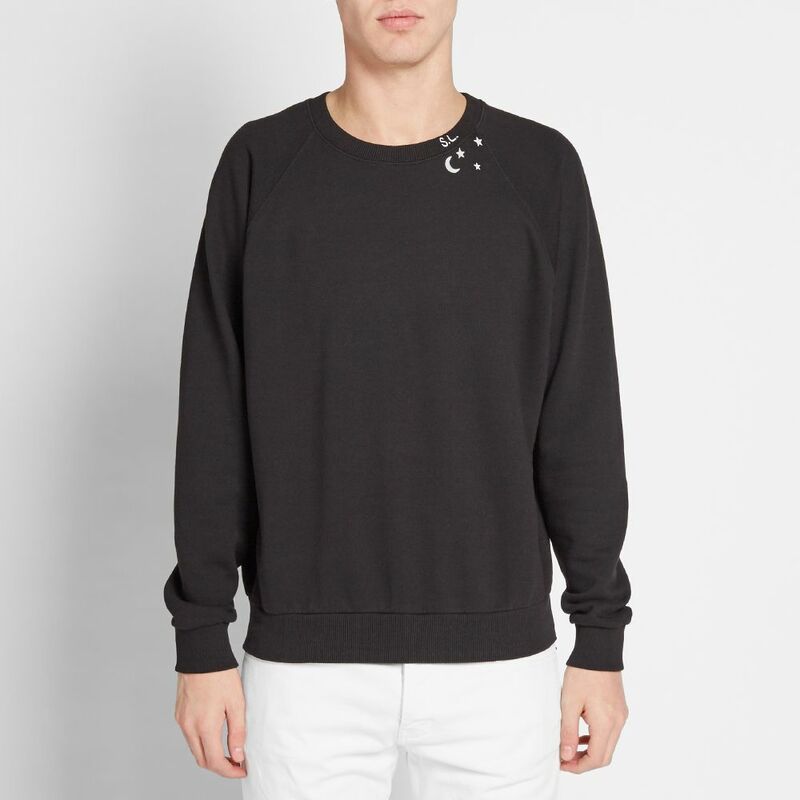 MKI Long Sleeve List Print Tee White | END. 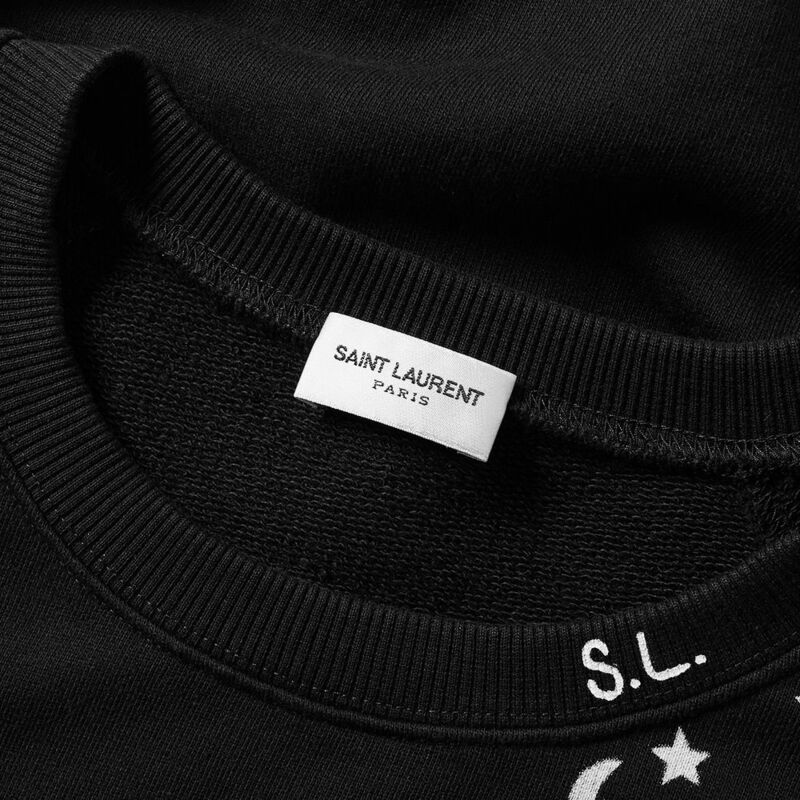 One of the most revered names in fashion, Saint Laurent deliver a menswear collection that blends the label’s French-infused DNA with a distinctly rebellious attitude, upheld by its current custodian Anthony Vaccarello. 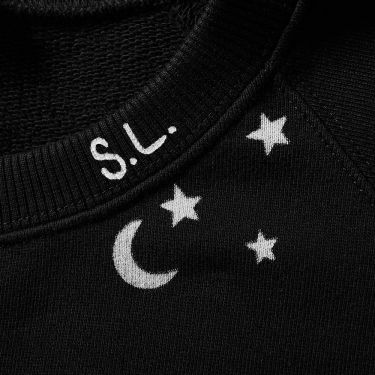 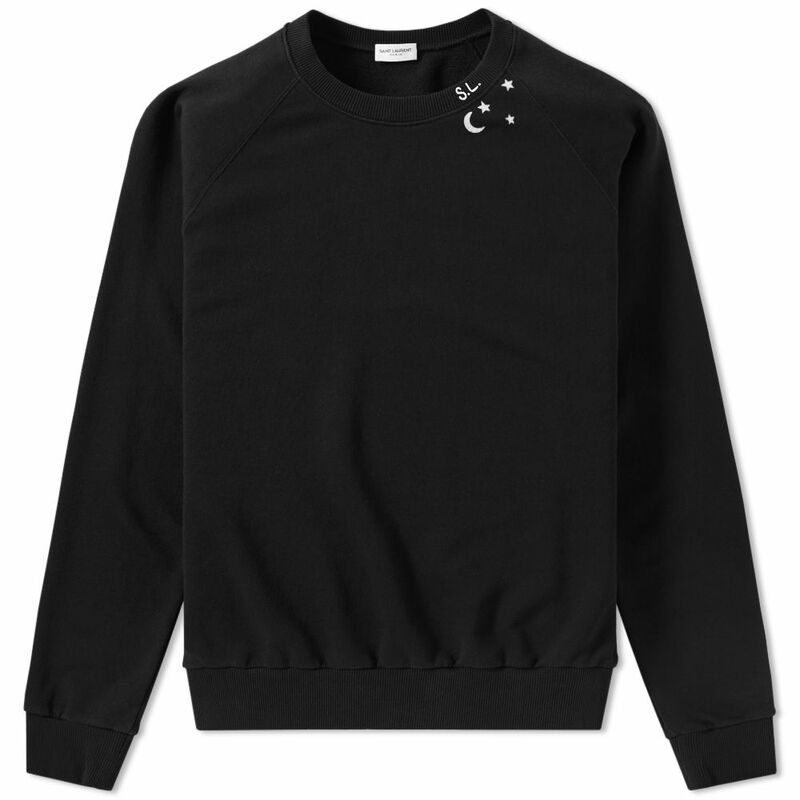 The excellently-sculpted SL Stars Crew Sweat delivers a premium update on a classic sporting silhouette, coming sculpted from a 100% cotton and featuring a printed star motif. 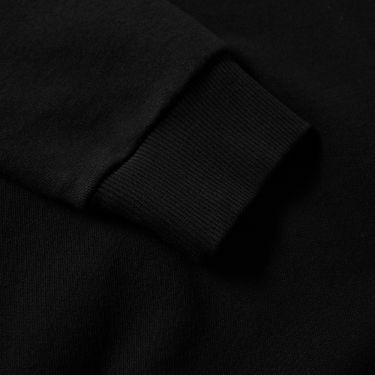 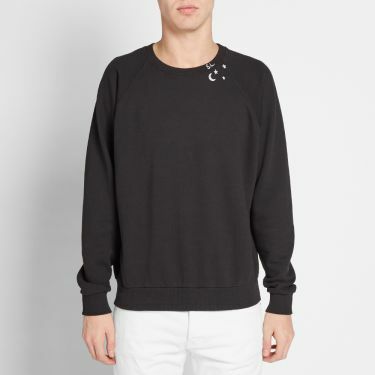 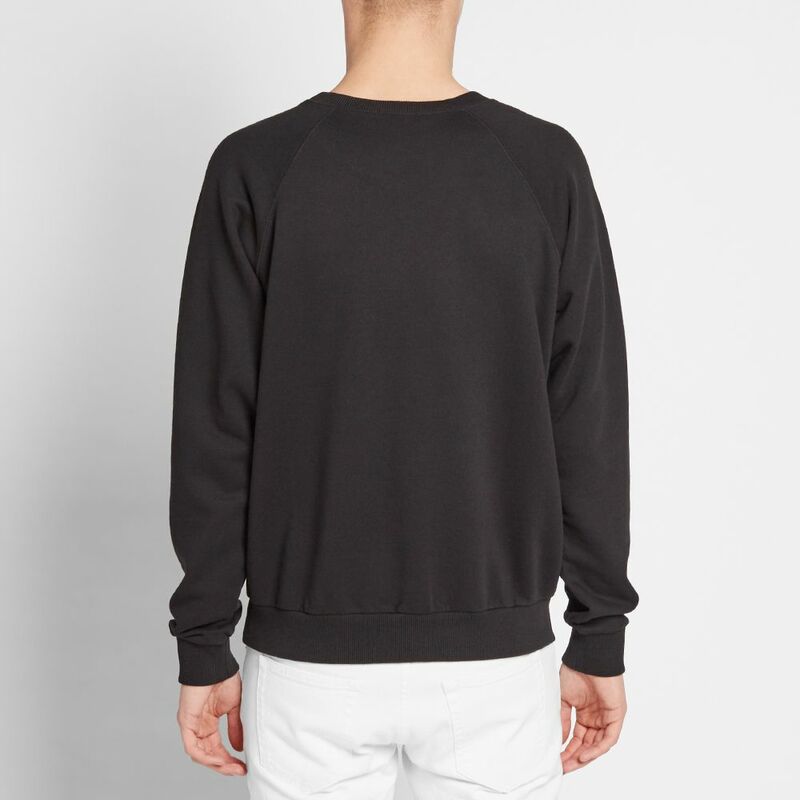 This considered design is rounded off neatly with a ribbed crew neck, cuffs and hem.